Just Cause 4 is promising to be much better than its predecessor, and Square Enix highlighted some of the new game’s improvements during its E3 2018 showcase. The upcoming open-world game will feature plenty of enhancements, such as an improved AI that will keep players on their toes, improved weather effects and, most of all, improved physics, with the grappling system also getting some noticeable improvements. 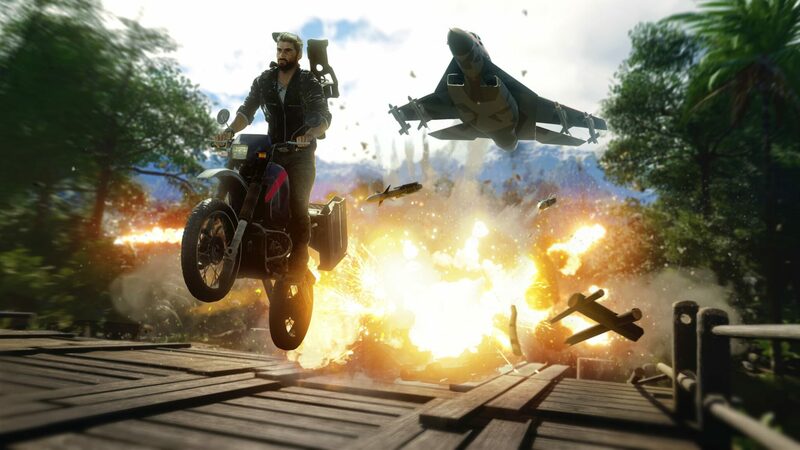 We’ve taken everything that players loved from our previous games and with brand new features, enhanced physics and core gameplay improvements, we’ve created the most ambitious Just Cause experience to date. The introduction of Extreme Weather is a complete game changer – players will not have seen anything like this in a videogame. We have created fully physicalized tornadoes, blizzards, sandstorms and torrential downpours which affect gameplay in a very real way. All of this is now possible thanks to our brand new Apex engine. Just Cause 4 launches on December 4th on PC, PlayStation 4 and Xbox One.